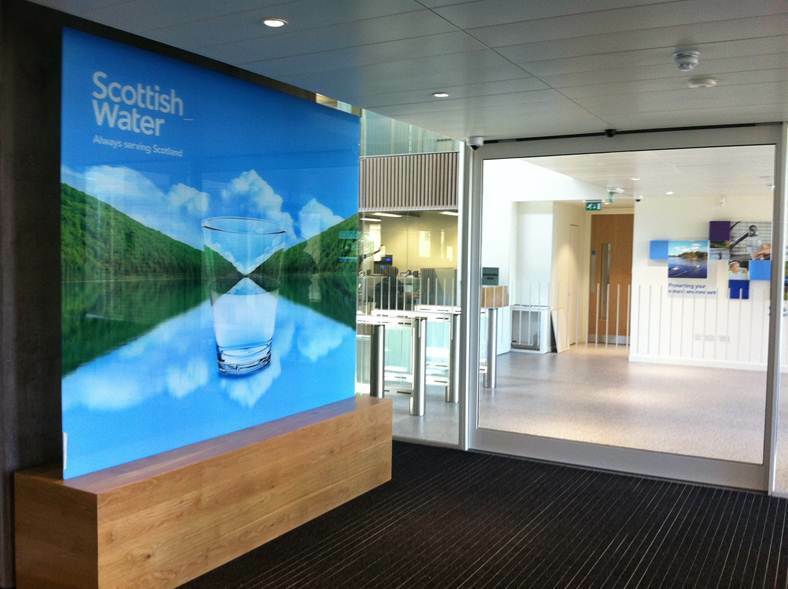 On the 18th of July Spectraglass supplied and helped Eastern Photocolour to install a glass printed floor to ceiling sign in the Reception Area of the new Scottish Water Headquarters in Stepps, North Lanarkshire. 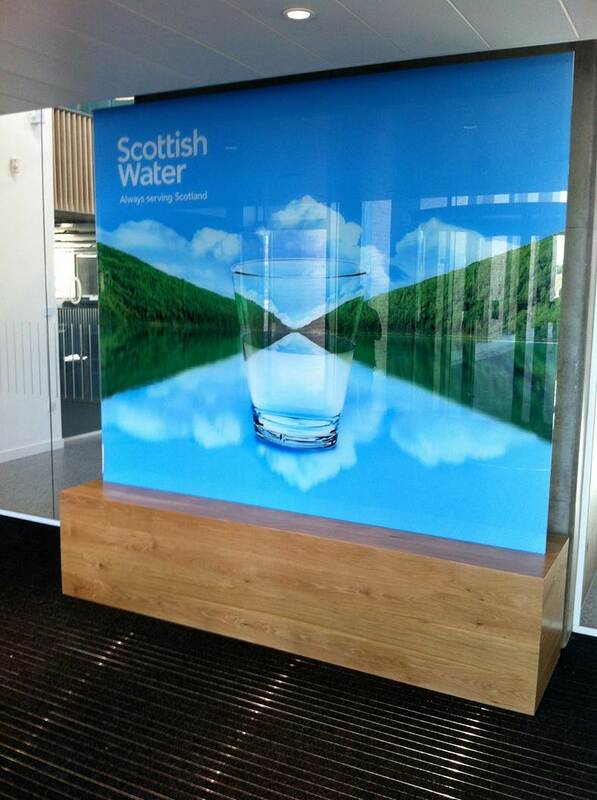 The 10mm toughened plate glass which weighed 150kg had to be first fitted the wrong way round to allow specialists to position and stick the graphic vinyl in place and allow drying time. A taper lock balustrade system was used by the team to slide the glass into place within its wooden base. Stage weights were then used to help balance the sign and give a free floating effect.